This article concludes the actual road test we implemented on replacement tires (Michelin Commander II’s) for our Harley Ultra Classic. We posted the 1st article back in April after a 12,000 mile road test in Colorado. I reposted that article below titled “Keep the Rubber Down”. Disclaimer: I am not affiliated with any product retailer or reseller and do not accept any compensation from any product manufacturer for content or opinions expressed on this blog. Our personal road test conducted in Colorado showed only a 25% total improvement over the OEM Dunlop Tires. Still a slight improvement no matter how you look at it. Although I was pleased with the first 12,000 mile performance of the Michelin Commander II tires, I was disappointed the tires didn’t last as the MFG had advertised. The back tire lasted only an additional 2500 miles before it was time to replace it. In the manufacturer’s defense, the roads of Colorado may not be the typical place to conduct a tire test. However, as a motorcycle enthusiast I think Colorado is the perfect place to conduct any tire test due to the state’s curvy elevated roads, and ever present weather challenges. 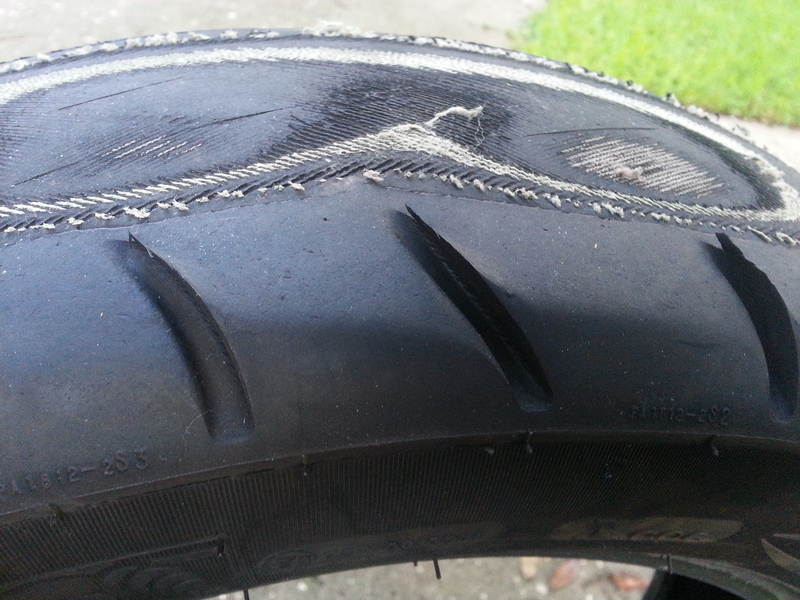 Riding tandem may have contributed to the extreme wear to the right side of the tire. I still can’t believe we made it home on this tire. The back tire had approximately 3/16″ treads of rubber in the middle at the start of our road trip. We completed 30 mountain passes over 10,000 ft in 7 days and several just under 10,000 ft. We also had to double back on 3 or 4 to complete the journey. The following pictures show the back tire after 14,500 miles of touring the mountain roads Colorado. We clocked about 2500 miles in 7 days on that road trip. 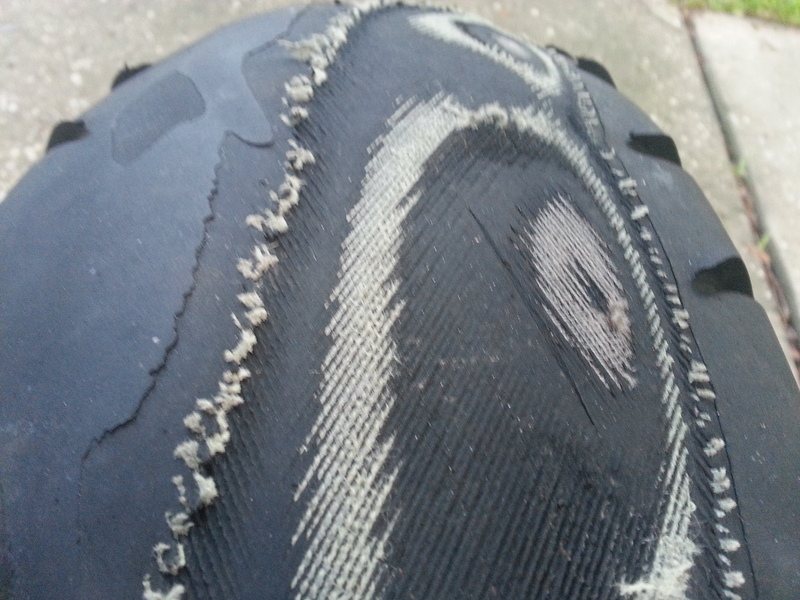 The severe wear showing the tire’s under-layments occurred in the last 500 miles in our final two days of riding. 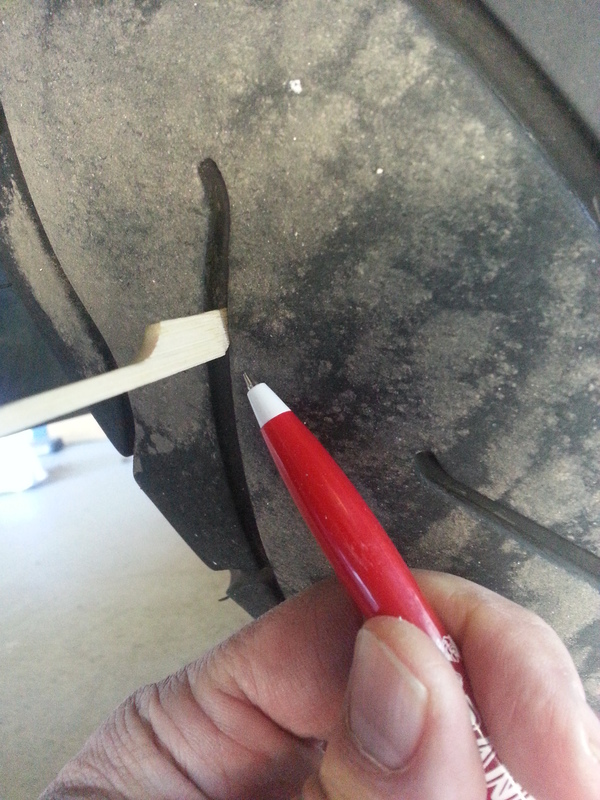 I inspected the tires two days before concluding our road trip and knew the back tire would need replacing soon. 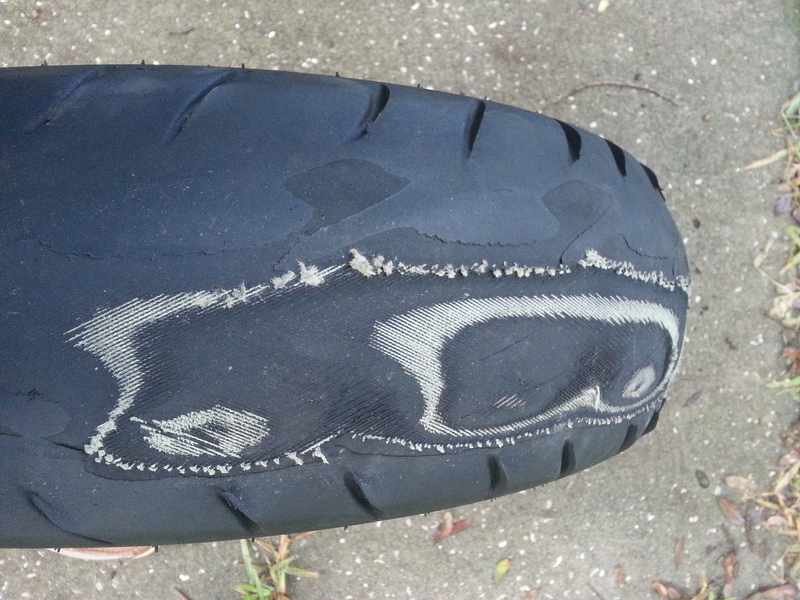 However, I didn’t notice the severe wear pictured until we had completed our trip and already garaged the bike. Needless to say, my lesson learned is to inspect tires daily prior to riding. Thankfully we made it home without incident. I decided to replace the Michelin Commander II tires with the Dunlop American Elite tires this time around, it’s a newer improved Dunlop for touring bikes. I look forward to road testing this set of rubber on the highways of the sunshine state. 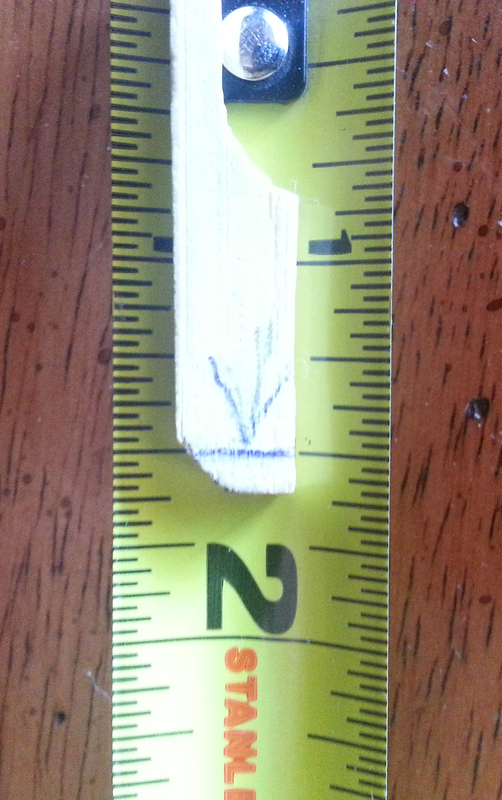 I’ll post comments on our blog concerning their performance when it’s time for New Rubber Down! In May of 2010, I purchased a new Harley Ultra Classic. About two years later with approximately 11,500 miles on the bike it was time to replace the tires. I was a little disappointed that I had less than 12,000 miles on the original Dunlop tires and wondered if that was normal for a touring cycle. I researched the Internet and liked what I read about these new tires. Michelin ads claimed that their Commanders II’s would last almost twice as long as the set of Dunlops that needed replacing. Persuaded by my research I purchased a set and decided to do my own test. Touring Colorado on a two wheeler is perhaps one of the most sought after and coveted riding experiences in America. The majestic mountains with it’s curvy roads and scenic alpine forests dish out some of the most breathtaking views on the planet. However, one should expect to encounter just about every kind of riding condition while touring through the state. The weather at times will throw you a curb because it’s usually so unpredictable in Colorado. I have personally navigated through rain, sleet and snow while touring through the mountains all in the matter of minutes. Loose gravel and large rocks are common in the roadways along with slick wet icy roads in the higher altitude areas. On occasion you could have a herd of goats, deer or other wildlife jump right out in front of you. 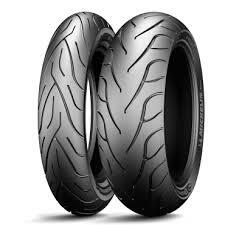 One of the most important assets to have on a two-wheeler is a great set of tires. A good friend of mine (Charlie Ford) had clocked over 100,000 miles on his Ultra Classic motorcycle this past year. I asked him to share his best safe travel tip to share with others, his exact words were, “good tires”. First, I need to say that I received no money, compensation, favors or endorsements of any kind for this personal tire test. And to make the test even fairer, I ordered the tires from and out-of-state dealer in Utah. When they arrived I had the local Harley dealer change out the tires. My personal evaluation of these new tires are a true unbiased assessment. At first when I first laid eyes on the new tires I was a little concerned with their unique tread design. I wondered if they would hold good traction in sharp turns. But, I must say the tires handled perfectly. I did experience minor traction loss while in a turns and rolling over small pea-size gravel and heavy painted lines on the roadways, but one should expect that. Overall, the tires were smooth and comfortable riding on the road, as one would expect from a premium tire. I was also happy with the traction in the rain. Riding in the occasional snow and light sleet in the high elevations was satisfactory too. Most of the mileage encompassed having a rider on the back and all the storage compartments packed full of gear and a medium size overnight bag strapped on the luggage rack. Even with all the added weight I was very pleased with the overall performance of the tires. I had experienced severe tread loss on the original Dunlop tires at 11,500 miles and had to replace them. I measured the tread depth after 24 months and 12,000 miles on the Michelin Commander II’s and the tread depth was still 3/16” at the middle of the tire with minor rubber loss throughout the rest of the tire. At this point the Michelin Commander II has held favorably in all phases of the road tests. I don’t know if the tires will hold up another 12,000 miles, but I do know it has surpassed the original set of Dunlops already. So, in my 24-month evaluation of the tire test, I’m giving a big thumbs up to the Michelin Commander II tires. I will continue to track the life of these tires and give my final test results when it’s time again to put new rubber down. This entry was posted in Dining and tagged Colorado, Dunlop American Elite, Dunlop Tires, Florida, Harley, Harley Davidson, Michelin, Michelin Commander II Tires, Motorcycle Touring, Recommended tires, Road test, Tire Test. Bookmark the permalink. I have been reading a lot of comments on both commander 2’s and Dunlop elite. I have a 2011 ultra limited. I change my tire’s before they are considered worn out due to the fact I ride two up and have all the gear one needs to ride forever. The biggest reason is I live in what appears to be the moon, that is New Jersey every road and highway has more potholes then I have ever seen. I lived in Colorado and Wisconsin and nothing compares to this state for the poor roadways. I changed my first pair after 15,000 miles. I too road in hale sleet rain and very oily roads and the tires stuck very well. I put on another pair of the same and I am at 16,000 miles on them and still have some life left. It is February and I want to do the change now and not during full riding season. It was 61 deg. today and took advantage of the weather. I to was looking at the commanders on Amazon and they are a few dollars less and almost clicked the cart button until I noticed where they are made, (China). I have had so many issues with things made in China and most things you don’t even know what your getting to find out they were inferior products. Example I bought a 2004 Dodge durango and at 80,000 mile the engine blew (hemi) due to the chinese connecting rods. Google it one forum I went on had 987 people with the same problem at almost the same mileage. I am going to spend the extra 15 bucks and support our people working hard in the USA and stay with a product that is america’s finest. No I don’t work for or know anyone that works for Dunlop. How was the test result of Dunlop American Elite? I am very interested on your conclusion. Sorry, I haven’t finished the Dunlop Elite test. Unfortunately, I have only put 1000 miles on bike since changing the tires and it looks like I will be selling it before the test will be completed.